Technology is rapidly advancing before our eyes, raising questions about the next ten years. At Hello NEXT Conference, we come together to predict, discuss, and invent the future of print & technology. 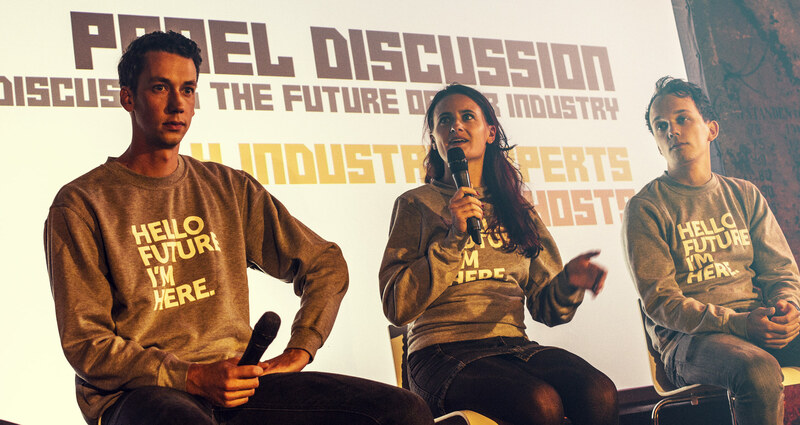 Our first edition of this three-day festival showcased industry-leading speakers & producers from all over Europe, panel discussions and workshops. Topics ranged from artificial intelligence to print innovations, and everything in between. At its core, Hello NEXT Conference is where we celebrate human innovation. Join us in 2019. On day 1 of Hello NEXT Conf (aka Seller Conf), print producers from all over Europe gathered to discuss the future of our industry. Print innovations, platforms and challenges were discussed and solutions for possible problems were found. Seller Conf is essential for anyone calling themselves 'Print & E-commerce Professional' and great for networking. Make sure not too miss our 2019 edition.